- Stylish bezel-set amethyst cabochons showcased in sterling silver. Earrings measure approximately 2" in length. 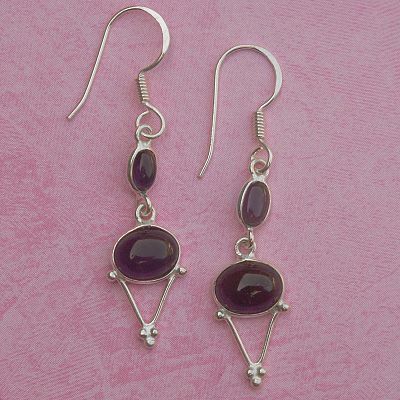 Do you have any other questions about our Silver Filigree Amethyst Earrings?